Lively, pretty seventy-five-year-old Sue Endicott is shopping for a gift for her first great-grandchild when a distinguished-looking silver-haired gentleman approaches her. Before long, they find themselves sharing food, laughs and a good bit of history. Nothing ever runs smoothly in this life, and it sure doesn’t for Sue and Lenny. Their courtship is a wild and passionate ride that takes them from the south coast of Florida to a glamorous apartment in New York City overlooking Central Park to the peaceful Green Mountains of Vermont. 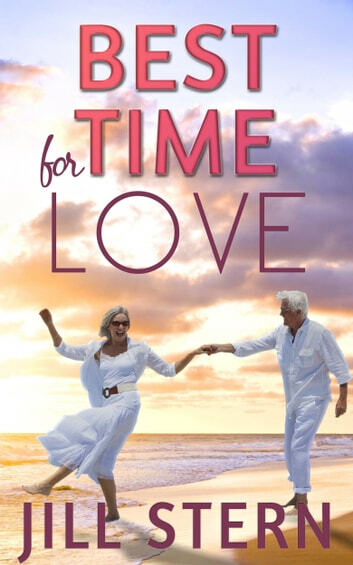 Along the way, they have to battle their less-than-reliable aging bodies, the specter of lost spouses, and sometimes each other in a race against the slipping sands of time, where every moment counts and each decision surely means forever. When is the best time for love? Maybe when it’s least expected.